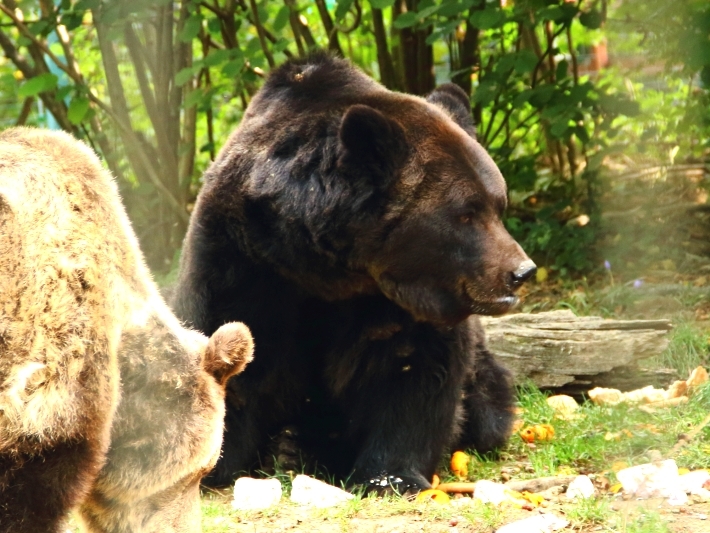 In September 2018, Rasmus Bech spent three weeks volunteering at the bear sancturay in Romania. He has decided to share his experience with you – enjoy! Upon arrival in Bucharest airport, I met the other volunteers, Gillian, Hannah and Núria. We found the Oyster driver who took us to Brașov, it was a beautiful ride and we talked about why we had chosen to volunteer in Romania. In Brașov we met with Diana our volunteer coordinator who took us for a nice dinner and let us know how the weekend would go. The first weekend in Brașov Diana treated us with a VIP tour of the Bear sanctuary, showing us the enclosures, the food preparation building, the main building, and of course the bears. Other weekend activities were visiting Castle Bran and Peleș Castle, hiking to the Brasov sign. You could also take a taxi to nearby Râșnov to visit the Citadel you will drive by every day and the beautiful limestone cave. 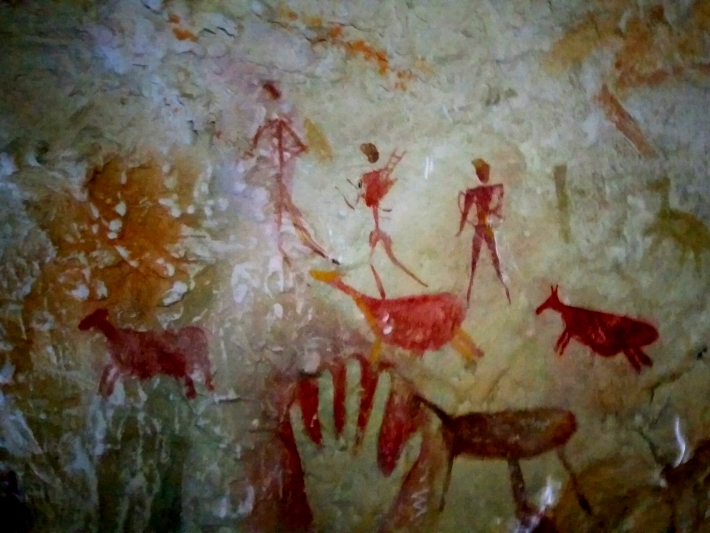 I would also recommend a taxi to the seven ladders a beautiful hike. The city of Brașov is wonderful, use the map supplied by Oyster to find wonderful places such as the Citadel, the Black- and White towers, or the beautiful gothic church, which has organ concerts on Tuesdays. Brașov also has a wide selection of great places to eat, a few favourite places of mine were Sub Tampa, Dei Frati and Restaurant Transilvania, which is conveniently placed right next to the Oyster apartment. At the sanctuary we prepared food for the bears, so upon arrival around nine we would go to the food preparation building and make bear ice cream, a mix of bread and dairy products, which is then frozen. Sometimes we were able to spoil the bears with chocolate or other sprinkles for the ice cream. After lunch, which you can take with the bears, we would go back to the food preparation area and sort the donated food. Some days it would be massive amounts of fruit and vegetables – bears frown upon vegetables – that needed sorting, and other days we would unwrap mountains of meat or empty bag after bag of bread. Tuesday mornings we joined guided tours to learn more about the bears and the sanctuary, Thursdays, however, were the big prize as we went on feeding tours throughout the sanctuary watching the bears eat. Maybe you get to see the same bear multiple times as he/she moves through the enclosure to the different feeding locations, maybe you get to see some young bears playing while they wait for the food, or maybe you get to see a bear run faster than Usain Bolt to catch a loaf of bread rolling down the hill. I know I know, I have been torturing you, you did not want to read this blog to learn about meetings in airports, what to do in Brașov or what you will be doing during the week, Oyster has already told you that. You came to this blog to read about the bears, and they are amazing. As soon as you enter the sanctuary there is a good chance of seeing a bear and if they are not right there then just head around a corner, and sure enough a bear should be there. While I was at the sanctuary, there were three enclosures with big cubs in the enclosures. The cubs had absolutely trashed the trees in the enclosures, during our VIP tour with Diana, when we saw the second one she asked “do you see the destruction, what does that mean?” and we all replied “Cubs!” with big grins on our faces. 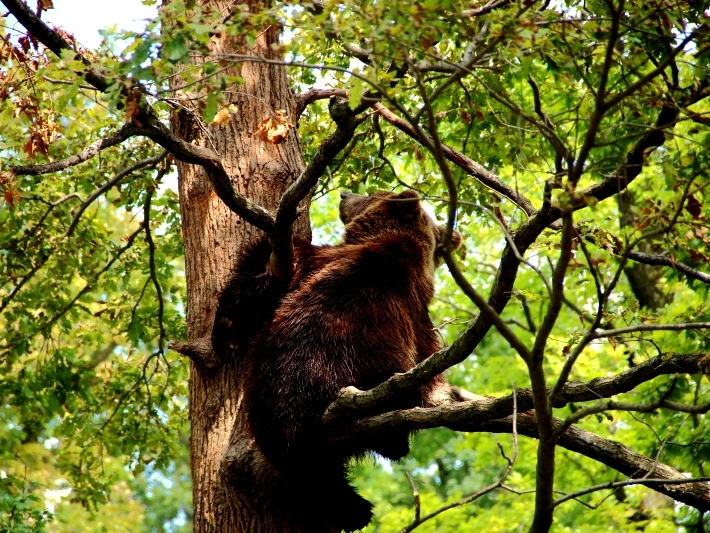 Almost every day we would see, bears climb trees; especially some of the cubs were very enthusiastic about climbing. 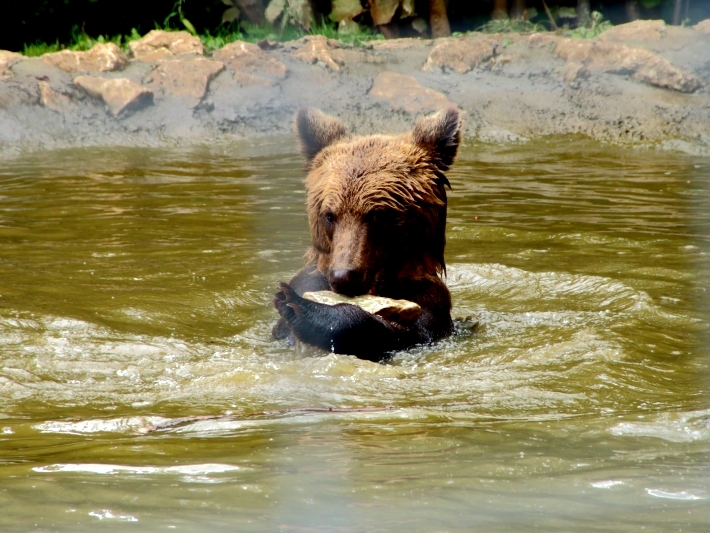 It was also fun seeing cubs play in the pools, picking up rocks with their feet and then throw them into the water, or when they practiced their fighting skills usually also in the pool. It was also cool to walk around in the bear bunker. Yes, Bear Bunker! From outside the enclosures you enter this tunnel that is decorated in the ways we humans mistreat bears, like a hunter in the forest, a circus, and more, then you enter a part of the tunnel with recreations of cave paintings before entering the bunker. Now inside with the bears you might get lucky and get even closer to the bears, or be able to see them play in the nearby pool. All in all the bears were awesome; it was nice that right next to the food preparation building we had Mitsi and her one cub and Chery and her three cubs. Especially Chery and her cubs were very curious and we definitely felt like we made a connection with them. 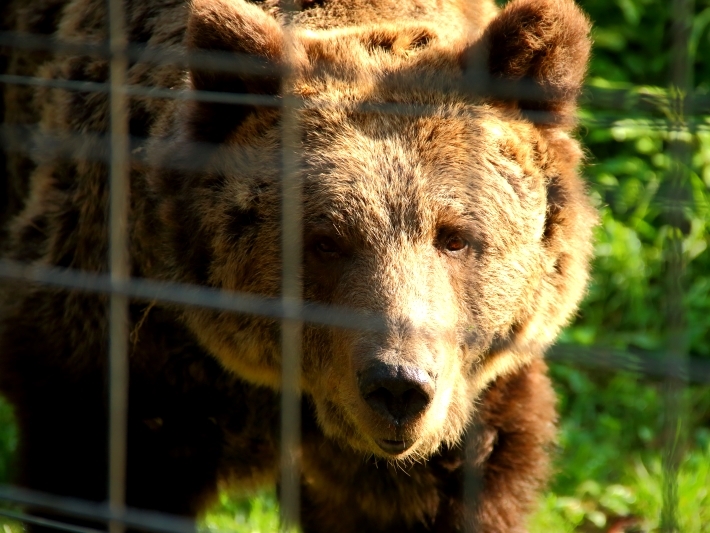 To find out more about the bear sanctuary, see our volunteering page.